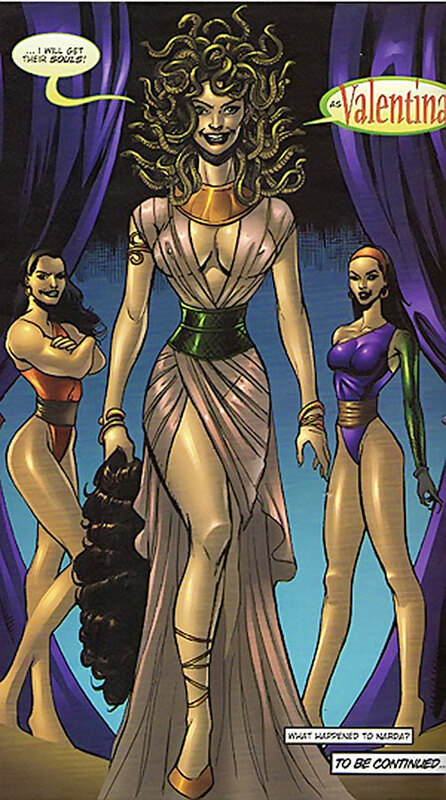 This is the iconic Filipina super-villain created by Mars Ravelo. She is the arch-enemy to Darna. If you have Superman, eventually Lex Luthor will appear; if you have Darna, eventually Valentina will strike. 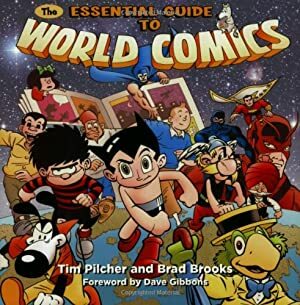 This is taken from the Mango Comics 3 issue limited series. You can never have too many snake-themed cult leaders. Besides, if you’re looking for a way to pull in the Marvel snake themed gangs into Kobra, Valentina fits perfectly. Known Relatives: None, calls Ebony and China “sister” but that may be a simple honorific. Base Of Operations: Manila, Philippines, formerly Tiamat, Nibiru (or Marte). Height: 5’6” Weight: 120 lbs. Eyes: Varies (usually Gold or Green). Hair: Green snakes (often covered with a brown wig). 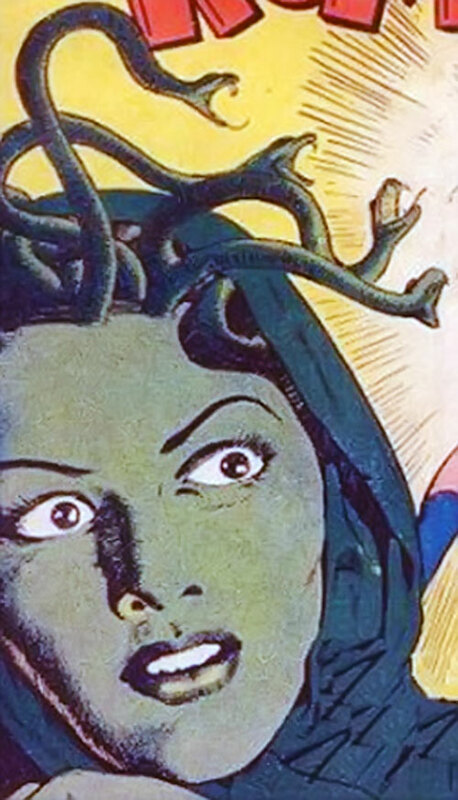 Valentina is similar in appearance to Medusa of Greek Mythology. As a result, she can use her hair to bite people with similar effect to a deadly viper. She also has her own fangs (which assumably also contain venom) as well as the ability to change her form. She can either transform herself into a giant snake like creature or her limbs into one or more snakes. She does not seem to be able to separate any of these snakes. Valentina is a Serpent Queen. As such has the ability to communicate with and control all sorts of serpents. She can even use her snakes to bite regular humans for unusual effect. If they should survive the experience, their strength and toughness increase dramatically. However, they can also be controlled by Valentina in a similar fashion to her serpentine servants. Valentina is the arch-nemesis of Darna. As Darna has appeared across all forms of media, so has Valentina. Unlike Darna, her incarnations have little variation across versions. For more information on the various media incarnations of Darna, see that profile. The snake queen Valentina appears as early as the the 1940’s. She has been Darna’s nemesis in every incarnation. 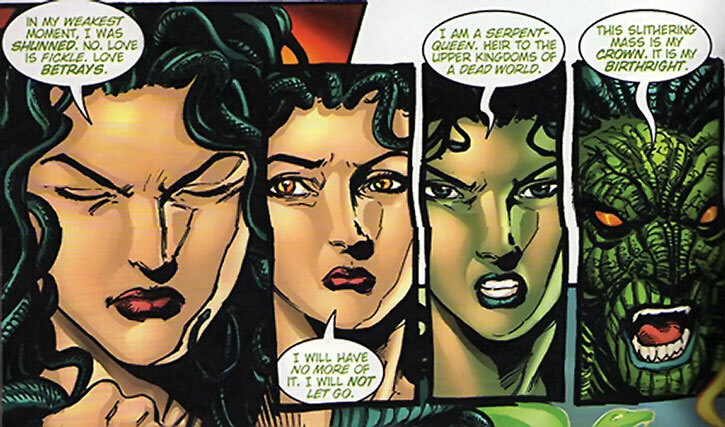 Valentina seems based on both the Greek gorgon, Medusa, and the Asian myths of Naga. Darna is one of the most prolific superheroes of all time in movies. She first appeared in the movies in the early 1950s. Valentina also appears in the movie versions, often disguised as a model or religious leader. Of course the cult of victims don’t realize what they’re serving. She can shape shift into a snake and usually has demonic henchmen (who also can transform into snakes). In the Mango comic version (upon which this write-up is entirely based), Valentina can entrance her victims to become her willing slaves. She also uses snakes and their venom to increase her slaves’ physical prowess, particularly strength. Similar to previous versions, she has a pair of accomplices in the comic who in this case are also Snake Queens from Tiamat. 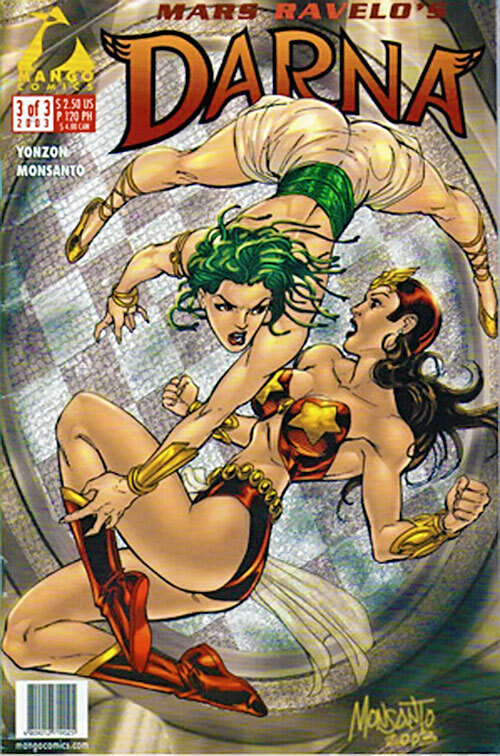 The background origins of Darna’s race of “Adarna Warriors” (named for the Adarna bird of Filipino legend) and Valentina’s race of “Serpent Queens” (still resembling Medusa and/or Naga) is revealed in this version. The two races shared the planet of Tiamat and became embroiled in a fierce war which ravaged the planet. The Adarna Warriors then sought a new planet, Nibiru (also known as Marte, possibly to consolidate earlier retcons). As stated above, the origins of Valentina’s people are revealed in the Mango comic series. According to The Matriarchs, Darna was the greatest Adarna warrior. She was their greatest hero and champion but fell in battle. It is unclear whether Valentina was the one who killed her or if it was another of Valentina’s race. The worlds controlled by the two species were ravaged in the conflict and the Matriarchs fled. Valentina became their queen and while she ruled the world, it was a hollow victory as she was now ruler of a dead world. Valentina somehow made her way to Earth. 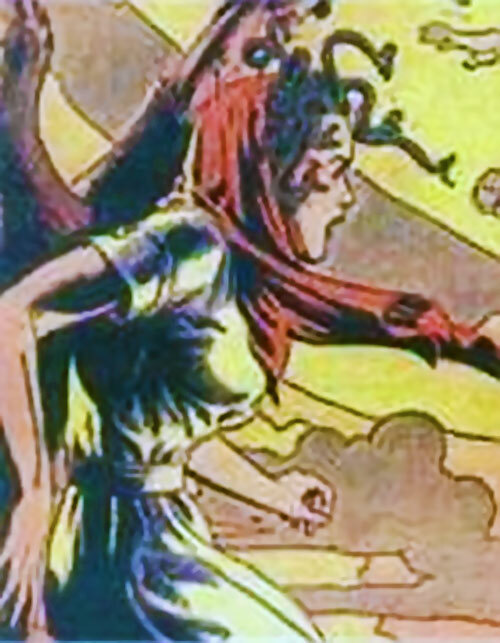 It is not clear in the comic, but in the original version she was born on Earth and raised by Kobra. He made her the heir of the Serpents and revealed her spirit was originally that of a Serpent Queen. Valentina, using a wig to disguise her hair, integrated herself into human society. She eventually fell in love with a man named Eduardo. However, when she shared her origins with him, he was shocked and frightened. While it’s not exactly clear how he died, it seems likely his reaction tore Valentina to her core. She swore she would never love again. She denounced love as inconstant every chance she would ever get since. She encased his body in stone much as she encased her own heart in stone. She then decided if humanity would not love her, they would fear her. She brought her ’sisters’ to Earth. It seems likely she has, in DC Heroes RPG terms, either a Dimension Travel or some other ritual for traveling back and forth). She thus began assembling a secret terrorist army. Finally, she came upon what she believed her master stroke. Just as she was lured by love, she would lure her new slaves. She disguised herself once again and became Amor!. Amor! was a new pop-singing sensation, and would turn her throngs of fans into her mindless slaves at a huge concert. Everything was going so well until Darna showed up. Darna defeated her servants and freed the audience at the concert before Valentina could enthrall them. Defeated, Valentina fled to her secret temple but Darna pursued. They fought and Darna discovered Eduardo’s body in the property damage. Valentina destroyed the statue he was encased within. The temple collapsed as Darna desperately tried to save her enemy, only to discover she only held Valentina’s collar. Considering the unusual effects of the snake venom upon her thralls, perhaps a US scientist discovered one of her (or her predecessors’) thralls once before. Taking his blood and isolating some of the unusual neurontoxins within, he discovered this serum could be used to create a ‘super’ man. In wartime, he could be a ‘super’ soldier. This scientist was code named Dr. Josef Reinstein. His patient was the now famous Steve Rogers. Since the serum is at its core still Valentina’s venom, she could possibly control Captain America (and Isaiah Bradley). With Cpt. America as her personal body guard, she naturally takes over the Serpent Society and acquires the Serpent Crown. Over the course of her battles with the Avengers, she calls upon the same powers to destroy the Avengers that her race called upon to destroy Darna and her people. Once again, she is victorious but at the cost of a ravaged world. This time, she decides, instead of leaving the planet, she would find a parallel Earth to conquer. Summoning her servants to her side, she begins a ritual that will take her to another Earth. At first she can not open a portal to the other Earth, she can only project herself spiritually. She quickly finds a ready mind who is easily susceptible to her influence. Slowly she subverts his mind and has him create a cult in her image. (Continued in the next section). In order to bring her entire army to this new Earth, she realizes she must have a number of people on that Earth equal in size to ‘open the door’ from that end. So she has her servant, Jeffrey Franklin Burr, build an army. Valentina supplies him with power through the use of the Crown and her pre-existing abilities. He adopted the name of Kobra and served his mistress faithfully for years, even if he wasn’t fully cognizant of who was controlling him. After years of service and all the pieces were finally in place, the ritual began. He had even manipulated his lover, Eve, or perhaps it’s better to say Valentina influenced her, to stage a betrayal so this world would never know what was coming. Just as the complex ritual was reaching its climax, some of the JSA tracked him down. Black Adam ripped the heart from the Kobra, unwittingly completing the ritual with his sacrifice. Now Valentina has slowly brought her greatest agents to this strange new Earth with strange new enemies. Valentina has hidden behind the scenes, coiled and ready to strike. Another option is to use her as is. South East Asia is sparsely populated with supers in the DCU and Valentina could easily be ruling this region, or at least giving its heroes a world of trouble. Paralysis, Claws and Poison Touch are combined powers and represent the snake fangs and venom from her hair (or her own fangs). Aura of Fear has no range (0 APs) ; Positive RAPs that do not exceed the target’s Mind will reduce AV/OV as opposed to forcing the target to flee. Control requires the victim first be attacked by snakes under Valentina’s control but survive the venom. Enchant is limited to the physical statistics of her human thralls and is permanent. Telepathy requires concentration and is only usable with her thralls (animal and human). Omni-Arm is contingent on Shape Change and can only be used to change her arms into snakes (which can use the powers relating to her venomous bite) ; the AP is usually used on Stretching or Split. Shape change includes partial transformation but is restricted to the form of a giant snake. Language (Tagalog native, English and Spanish), Attractive, Insta-Change, Headquarters (Expansive, until the end of the comic). Media (High), the Serpent Queens of Tiamat (High), China (High), Ebony (High). 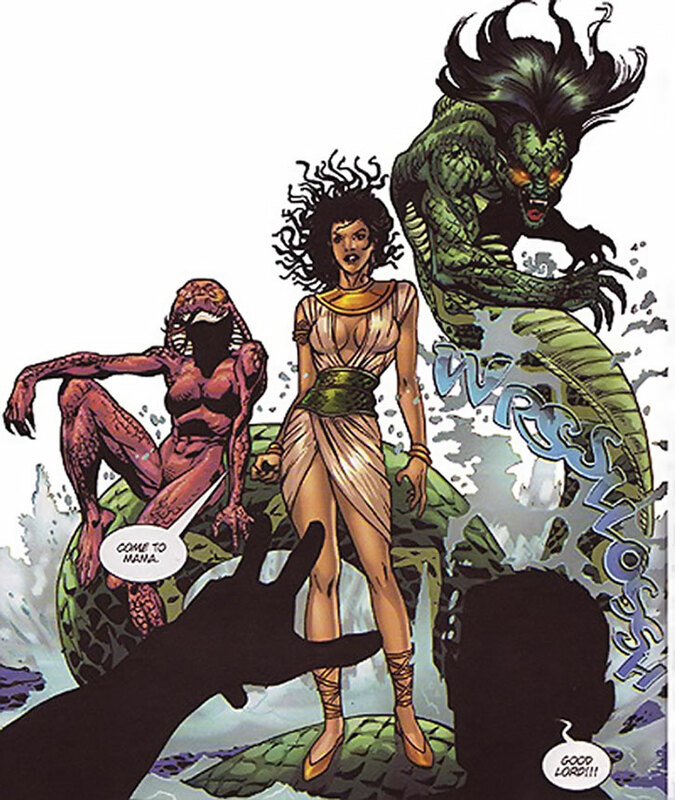 Distinct Appearance (Strange Appearance when she partially transforms into a snake), SIH (Love), Dark Secret (She actually was in love once), Exile (Presumably Voluntary), Arch-Enemy (Darna), Limelight (As Amor), Secret Identity, MIA (Monologues). Valentina has a wide range of servants ranging from super-human flunkies, venom-enhanced thugs to base snakes. These stats are based roughly on information from the Animals File on writeups.org, but the snakes under Valentina’s control seem to be particularly frightening and travel rather quickly. So I have added Running and Charisma (Intimidation) to the standard write-up. Assuming her snake form is similar to her “sisters,” her snake form could be like one of the below stats and also have 3-4 APs of Growth (instead of shrinking if applicable) which would significantly change her physical stats. Attack Vulnerability (-1 CS vs. cold). Paralysis and Poison Touch have Combined Power bonus – this is for species that combine hemotoxins (represented by Poison Touch) with the more common neurotoxins (represented by Paralysis). Valentina uses a complex method to “recruit” her shock troops. She simply goes to a rural area where she knows she can find some (lonely) soldiers. She then lures them into an area she and her “sisters” can easily ambush them with their own abilities and her snakes (usually using their beauty and feminine wiles). Their bites (and snakes under her control) have an interesting effect in humans much like “snake venom steroids”. While the venom often kills the victim, like any other snakebite. If they can survive, they will then fall under Valentina’s control as a somewhat addled slave. While these stats reflect the typical slaves she makes, she can employ this tactic with any man who can survive the process. Once they survive the snakebite, apply her Enchant power across the physical stats of the victim (usually 1 AP to Dex and 2 each to Bod and Str) and they are now eligible to be controlled by her. Unlike her flunkies, Valentina’s shape change seems purely cosmetic (as she doesn’t seem to use it). She sometimes shifts her face and arms, but never seems to fully change into a snake (in Mango comic). I’ve included Shape Change and Analytical Smell as powers for flavor, but her snake form is likely very similar if not the same as her human form except with Strange Appearance. It is possible she has mastered her forms more than the others (or perhaps as her birthright, being The Queen) to the extent that she can access the full abilities of her other form even while maintaining her human appearance. Helper(s): http://marsravelodarna.tripod.com/ (defunct), http://naritoako.tripod.com/ (defunct), internationalhero.co.uk , Ethan Roe, Darci.